At the very core of Karnataka, lies the beautiful district of Shimoga. There is so much to see in the district and yet it still remains less explored. Shimoga boasts of beautiful temples, lush fields, heritage spots and so much more! It is bound by the fierce rivers of Tunga, Bhadra, Sharavathi and Varda and is the ideal setting for cultural travel in Karnataka. It also is the heart of rice cultivation in the state. 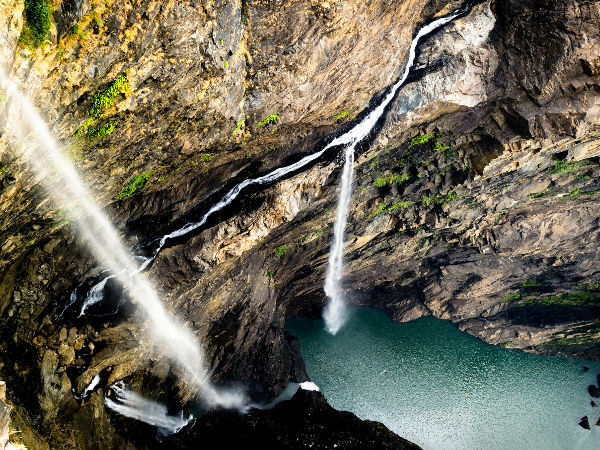 There is much to see and enjoy in the misty lands of Shimoga, from the famous Jog Falls to the lesser known town of Keladi. Take a look at the stunning vistas of Shimoga and it is sure to leave you longing for more! Greenery as far as the eye can see!